Premium Services: Real experts ready to help. Keep your digital assets safe! 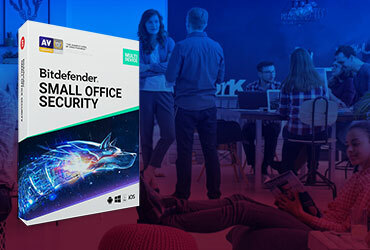 Bitdefender GravityZone Advanced Business Security offers comprehensive protection for physical and virtual desktops and servers, plus mobile devices and security and antispam for Exchange mailboxes – all managed from a single console. Make malware infections and system slowdowns a thing of the past with the #1 ranked solution for protection and performance in independent tests. Bitdefender uses constant innovation to catch everything from everyday malware to advanced attacks and ransomware waves that other solutions miss, while having the smallest possible impact on system performance. The only solution to have won all VBSpam awards to date, Bitdefender also consistently scores top spam detection rates. GravityZone Advanced Business Security provides comprehensive protection and management. This helps modern IT environments address all attack vectors while eliminating the overhead of managing multiple solutions. Organizations can use the cloud-hosted management console, or deploy the console locally. Based on hardened Linux machines wrapped in virtual appliances, the Bitdefender on-premise console is configured and ready to use in under 30 minutes. Bitdefender automatically detects and removes the previous AV solution upon install. Bitdefender allows you to run up to 30% more virtual machines than traditional solutions by optimizing and centralizing scan tasks. Unlike solutions that rely on the VMware vShield driver, Bitdefender covers any virtual environment and provides load balancing capabilities, as well as memory and process scanning. GravityZone Advanced Business Security received numerous awards from industry and independent testers. See here all awards. 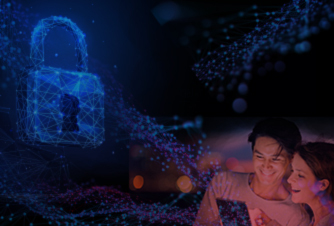 Benefit from easy centralized management, easy deployment and enforcement of security policies to any type and number of endpoints in any location. Antivirus and antimalware with behavioral monitoring, zero-day threat protection, application control, firewall, device control and content control with anti-phishing and anti-spam for Exchange mail servers. All endpoints are protected, - physical, virtual and cloud - no matter the form factor, workstation, server, embedded, mobile, or the OS, Windows, Linux, Mac. You are covered! GravityZone Advanced Business Security received numerous awards from industry and independent testers. The most recent are AV-Test Best Protection and Best Performance 2017 Annual Awards. See here all awards. Uses adaptive-layered architecture that includes endpoint controls, prevention, detection, remediation and visibility. Keeps OSes and Applications up to date across the entire Windows install base. Protects data for the entire endpoint hard drive by leveraging the encryption mechanisms provided by Windows (BitLocker) and Mac (FileVault). Focuses on attack tools and techniques to detect both known and zero-day exploits that target popular software applications. Monitors all processes running in the operating system and if the process is deemed malicious, will terminate it. The combination of “Best Performance” and “Best Protection” is unique to Bitdefender, who scored best in these categories in all six tests performed by prestigious AV-Test throughout 2017. 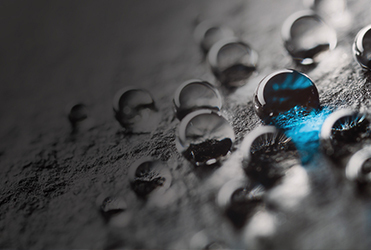 Bitdefender’s advanced endpoint technology is integrated into suites designed with you in mind. 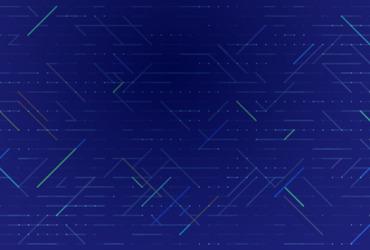 Over 30 protection layers included in all suites: Advanced Threat Cleanup, Centralized Protection for Virtual Environments, Device Control, Web Threat Protection, Firewall, Exchange Malware Protection, Application Whitelisting (on premise only), Application Blacklisting, Mobile Device Management (on premise only). An all-in-one security solution that includes protection and unified security management for workstations, servers, email, and mobile devices. As part of the certification of business security products, AV Comparatives ran a Real-World Protection Test using its own Real-World Testing Framework. To get the Approved Business Product Award, the reviewed business products had to achieve at least a 90% protection rate, with no false positives on business-related software. Bitdefender GravityZone Advanced Business Security obtained once again a very high overall standard together with the Approved Business Product award. Bitdefender GravityZone Endpoint Security Platform defends your endpoints from the full range of sophisticated cyber-attacks with high effi cacy, low end-user impact and low administrative overhead. It consists of multiple layers of defense that erect obstacles for the bad guys to make sure they keep stumbling. Bitdefender GravityZone Endpoint Security Platform defends your endpoints from the full range of sophisticated cyber-attacks with high effi cacy, low end-user impact and low administrative overhead. Each layer is designed to stop specifi c types of threats, tools, or techniques, covering multiple stages of the attacks. In the current cybersecurity landscape, threat actors are always probing and constantly switching tactics, making companies susceptible to malware incidents and outbreaks, business disruption and data breaches. The Bitdefender Memory Protection layer is part of the GravityZone Endpoint Security platform. It provides protection against known and unknown exploits targeting browser and application vulnerabilities in on-execution stage. Data is the most important asset in the digital economy. Employees carrying a laptop loaded with company sensitive information during business trips or commute are exposed to risk of loss or theft. While a lost mobile device can be replaced at a limited cost, losing data can lead to loss of customers, damaged reputation or significant financial loss. Avoid the risk of losing data and stay compliant with regulations by fully encrypting the hard drive of your mobile endpoints. Bitdefender Full Disk Encryption Management leverages the encryption mechanisms provided by Windows (BitLocker) and Mac (FileVault), taking advantage of the native device encryption, to ensure compatibility and performance. There will be no additional agent to deploy and no key management server to install. By using existing endpoint security infrastructure (GravityZone Console) also for managing the Full Disk Encryption, deployment is fast and painless. Once activated, the encryption management module on the existing console, the deployment of encryption on the endpoints can be centrally initiated and fully managed. GravityZone Console is now the one-stop shop, not only for protecting your endpoints from malicious software or targeted attacks but also for compliance reporting and encryption key recovery. Simplicity and ease of management will enable security personnel to stay focused and work more efficiently. Didn’t find the information you were looking for? Get the business security solution that blocks cyber attacks better than any other! tests for protection, performance, or usability. GravityZone Advanced Business Security is available both with a cloud and with an on-premise deployment. It protects workstations, servers, email, and mobile devices (physical or virtual machines). Servers should account for less than 35% of all units. The number of protected mailboxes can be up to 150% of the number of endpoints included in the license. Note: Specific kernel versions are supported. For details, please refer to the product documentation. 1. Log in to gravityzone.bitdefender.com with the credentials you received by email. 2. Start installing Bitdefender protection on your computers using the download link, or mass deployment options. 3.Monitor or change protection settings efficiently using the remote web console. Download the Installation Guide for detailed installation instructions. 1. Download the virtual appliance that corresponds to your environment. The download link will be provided by your reseller or delivered to you by mail after signing up for the free 30 -day trial. 2. Load the virtual appliance into the hypervisor and proceed through the configuration steps. 3. Access the console address in your browser and start to deploy endpoints. 4. Monitor or change protection settings efficiently using the remote web console. Download the Installation Guide for detailed installation instructions. What do I need to start a trial of this solution? You can start a 30-day free trial of this solution right here, on this page. You only need to fill in some contact information. How can I get a License for GravityZone Advanced Business Security? You can buy online a solution for up to 50 sets. You also have the option to contact a Bitdefender Partner. If you don’t have a Partner yet, find here the closest Partners in your region. Your Partner will provide the license key that will allow you to deploy the security solution across your infrastructure. Can I choose to protect only a part of the mailboxes and leave the rest unprotected? Security for Exchange does not support protecting only a part of the mailboxes and excluding specific mailboxes from licensing. Security for Exchange is designed to protect the Exchange organization to which the protected Exchange Server belongs. This means it protects all active mailboxes, including user/room/equipment/shared mailboxes.For security reasons, it is recommended to protect all mailboxes. Otherwise, malware can enter your infrastructure using the unprotected mailboxes and then spread in the entire organization. How can I get help around installation? Your Bitdefender Partner together with Bitdefender experts can help you install and configure your Bitdefender solution for the optimal protection and performance your business applications need. 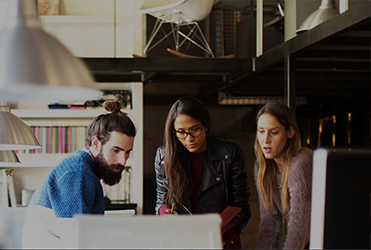 The SMB Start service offers customers the benefit of expert guidance throughout the beginning of the implementation, ensuring a smooth and trouble-free start. Are there additional features that I can add to GravityZone Advanced Business Security? To any Bitdefender endpoint solution, you can add more protection layers to increase the protection areas. You can add Patch Management to keep your Windows OS and Applications up to date or Full Disk Encryption, to protect data residing on your endpoints or HVI, to uncover memory violations that endpoint security tools and to stop the advanced attacks at the kernel level.